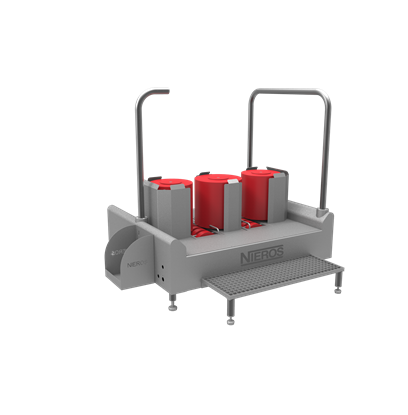 NIEROS® Boot Cleaner DR V is a perfect solution for all production areas where clean footwear is of highest importance. 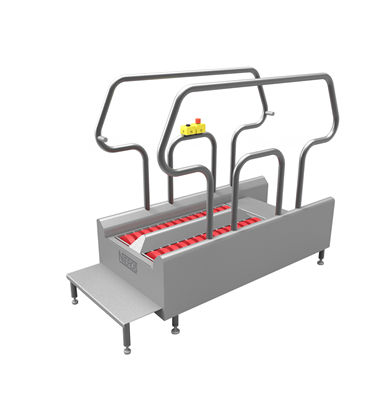 Activated with a push button, it not only enables the user to adjust the cleaning process, depending on the level of dirt, but it also keeps energy consumption to a minimum. 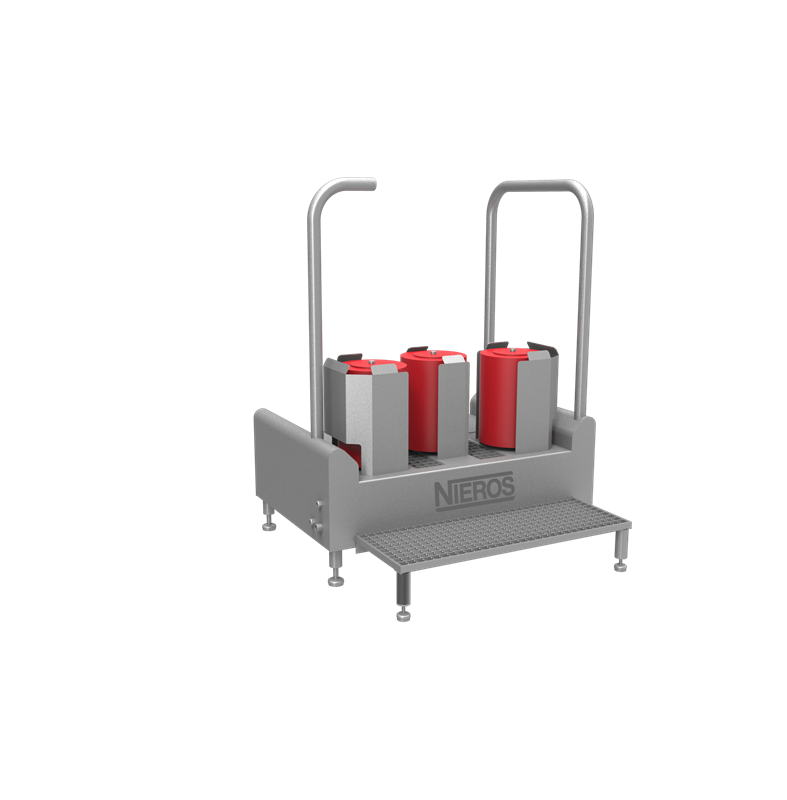 The device can be used as an individual unit, or it can be combined with NIEROS® Hygiene Station HC, HC XL, URK or DR. Three vertical rotating brushes, sprayed with sanitizer, ensure a quick and easy clean of the boot edges. Available in two versions of vertical brushes that differ in height for cleaning different styles of footwear.